Your best friend loved these delicious Buffalo Jerky...? Yes! 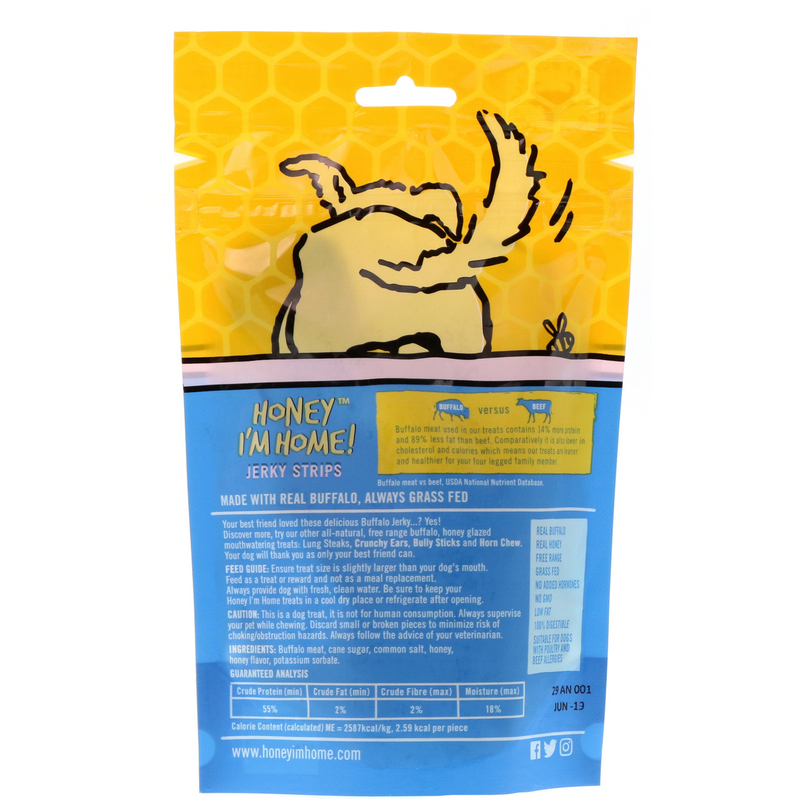 Discover more, try out other all-natural, free range buffalo, honey glazed mouthwatering treats: Lung Steak, Crunchy Ears, Bully Sticks and Horn Chew. Your dog will thank you as only your best friend can. Calories Content (calculated) ME = 2987kcal/kg, 2.59 kcal per piece. 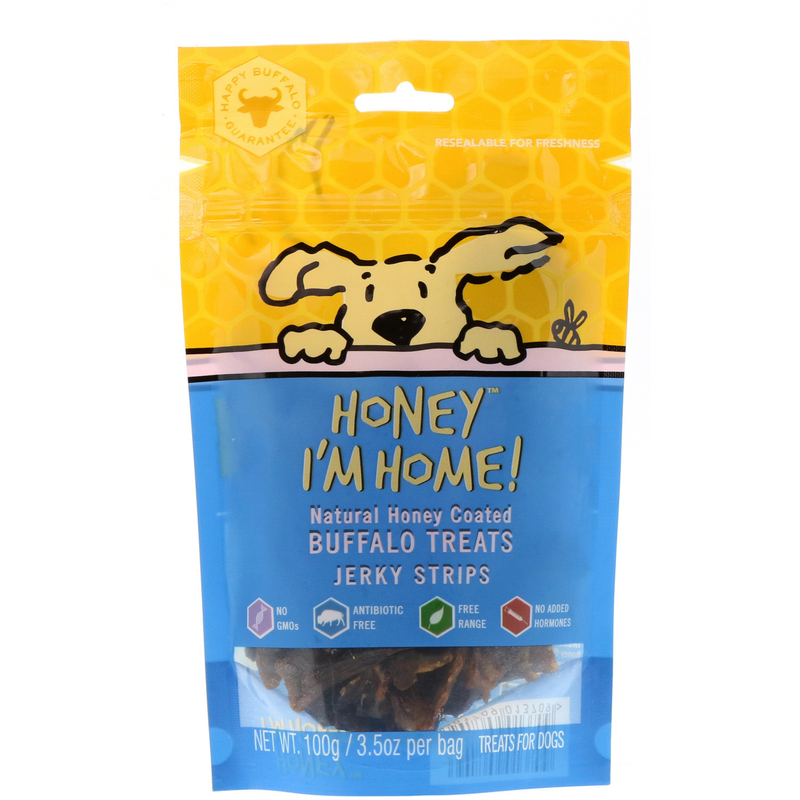 Buffalo meat, cane sugar, common salt, honey, honey flavor, potassium sorbate. Caution: This is a dog treat, it is not for human consumption. Always supervise your pet while chewing. Discard small or broken pieces to minimize risk of choking/obstruction hazards. Always follow the advice of your veterinarian.